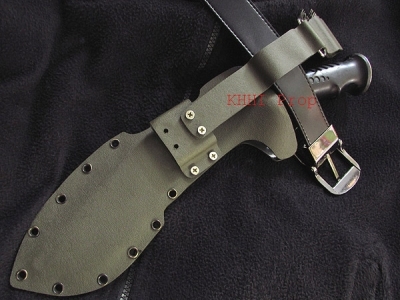 One of the latest additions by KHHI to enhance the Gurkhali items.. 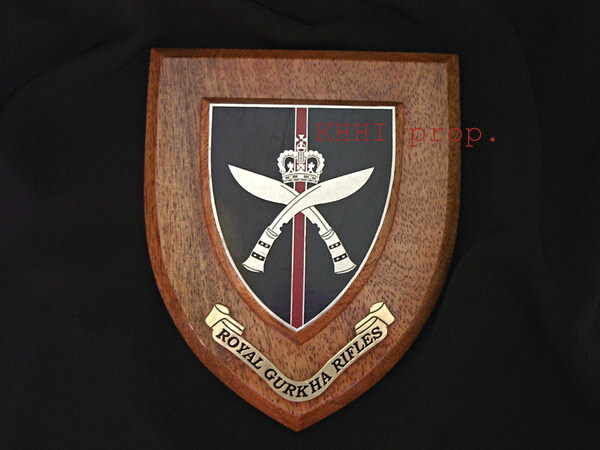 Handmade wooden Gurkha regiment plaque is one of the latest additions by “Khukuri House Handicraft Industry” to enhance the Gurkhali items and also to honor the prestigious Brigade of Gurkhas. It is actually the replicated version of the original ones found only in official army departments and the Gurkha Museum in the UK. The RGR (Royal Gurkha Rifles) plaque represents both RGR1 and RGR2. It is one of the current existing and most famous Gurkha regiments in the world. The 1st Battalion the Royal Gurkha Rifles (1RGR) was formed in Hong Kong on 1st July 1994 on the amalgamation of the 6th Queen Elizabeth’s Own Gurkha Rifles and the 2nd King Edward’s VII Own Goorkhas (The Sirmoor Rifles). The Battalion was initially stationed in Hong Kong leading up to the hand back and in 1996 moved back to UK to join 5th Airborne Brigade. Following the Government's announcement of the plans to restructure the Army, and with the handing back of Hong Kong to the People's Republic of China (30th June 1997) necessitating the withdrawal of the military garrison, the size of the Brigade of Gurkhas had to be reduced. On 1st July 1994 the four Gurkha Rifle Regiments, 2 GR, 6 GR, 7 GR and 10 GR reformed into a large Regiment, The Royal Gurkha Rifles (RGR), consisting of three battalions. However, on the withdrawal of 1 RGR from Hong Kong to the UK, 3 RGR was disbanded in November 1996. 1 RGR is currently in Shorncliffe, Kent while 2 RGR is in Brunei. The Regiment provides one reinforcement company to The HIGHLANDERS and also provides the majority of the manpower for the two demonstration companies, at The Royal Military Academy Sandhurst and the Infantry Training Centre Wales. It was in 1999 that the First Battalion deployed as part of 5 Airborne Brigade Kosovo on Operation AGRICOLA. The First Battalion is made up mainly by soldiers from the west of Nepal, from the Gurung, Thapa, Magar and Pun castes. The Regiment is commanded both by British Officers, who are trained at the Royal Military Academy Sandhurst and Queens Gurkha Officers who commission from the ranks. The British Officers all complete language training in Nepal in addition to specialist courses in jungle warfare, weaponry and tactics. The Battalion provides a number of additional troops in support of the wider Army. The 2nd Battalion The Royal Gurkha Rifles (2 RGR) formed from the merger of 7th and 10th Gurkha Rifles and consists mainly of Gurkhas recruited from East Nepal. The Battalion has completed their move to Brunei after a 3 year tour in the UK at Sir John Moore Barracks. During this very successful tour the Battalion has been on operational tours to Bosnia and Serria Leone as well being involved in cover during Op TELIC (Iraq). The Battalion is currently involved in OP HERRICK in Afghanistan and is due to be back in Brunei in the late autumn. It is also accompanied by a Gurkhas Book to make buying more interesting and to bring the undying history and information on Gurkhas closer to the masses.